We field teams in every junior age group in South Australia, from Minors (Under 11’s) through to Senior League (Under 17’s), with higher development opportunities offered to players via our participation in the regional Little League, Junior League and Senior League Charter teams. 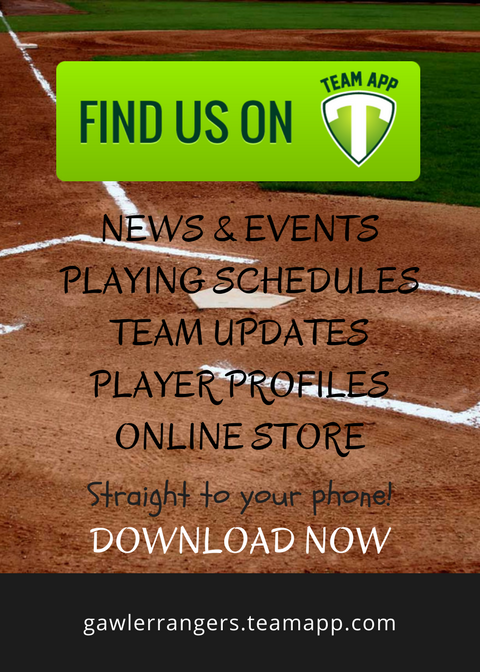 Players can begin from League Age 8 years old, male or female, and if they’re not quite old enough to play baseball yet we offer t-ball and a modified PeeWees competition. Click here to find out which age group you/your child is eligible for. 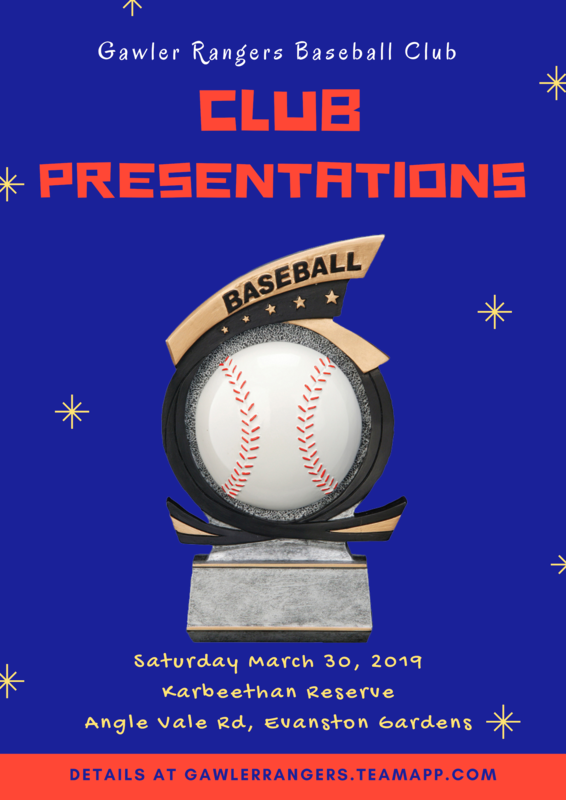 Led by our Junior Coordinator and committee, the Gawler Rangers junior baseball program has produced some outstanding young players, with state and SABL Division 1 representation a common achievement in only our first decade of existence. We are represented well at the end of each season in the league MVP vote counts, and the ongoing development of players both on and off the field is our biggest focus. Females also have the added option of taking part in our FREE 15 & Under Girls team – supported and mentored by our Senior Women this is an excellent opportunity to develop more skills and exposure to female role models within the club. Girls with a DOB between 1st September 2003 and 31st August 2007 are eligible. Games are played at Diamond Sports, West Beach. Trainings are currently held on Tuesday and Thursday evenings.